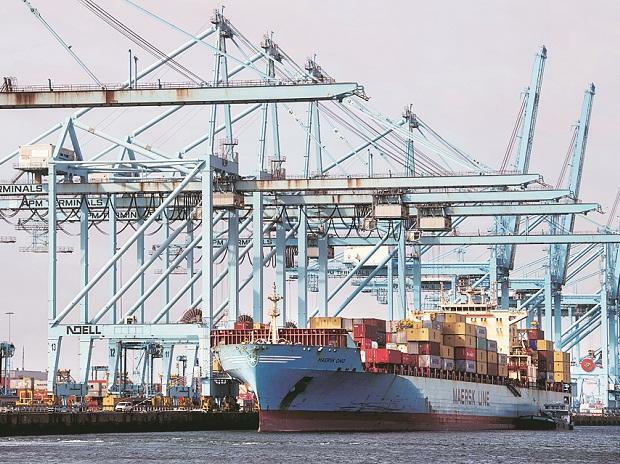 Major ports had to contend with lacklustre cargo growth of 2.9 per cent in 2018-19. Slump in iron ore and raw fertiliser cargo, and a flattish growth in liquid cargo pulled down the overall volumes. While iron ore traffic through major ports tumbled 16 per cent as exports slowed in the last fiscal, raw fertilizer cargo declined by 7.21 per cent. Port of loading (POL) cargo comprising crude oil, refined products, LPG and LNG grew only by a modest 2.52 per cent. In terms of cargo throughput, coal and containerised cargo proved to be the bright spots. Coking coal shipped through major ports moved up 14.25 per cent, according to data compiled by the Indian Ports Association. Thermal or steam coal also registered a 9 per cent growth in the last fiscal. Mormugao Port logged the steepest fall in cargo shipments, its overall throughput plummeting 34.26 per cent. However, a slide in iron ore cargo volumes pulled back the port's growth. Iron ore exports from the country tanked 32 per cent during April-February period of last fiscal on fragile demand and the prevailing steep export duty of 30 per cent on higher grade ore. The major ports in Mumbai and V O Chidambaranar also witnessed deceleration in cargo. Deendayal Port Trust (Kandla Port) emerged as the numero uno port in cargo throughput, handling 115.4 million tonnes (mt). Paradip Port Trust (PPT) finished second with a throughput of 109.27 mt, growing 7.12 per cent. Jawaharlal Nehru Port Trust (JNPT) was at the third slot, achieving cargo volumes of 70.7 mt. Between FY08 and FY19, traffic at major ports has increased at a CAGR (compounded annual growth rate) of 2.73 per cent. Net profit at major ports has increased from Rs 1150 crore ($178.4 million) in FY 13 to Rs 3,413 crore ($529.6 million) in FY18 while operating margin increased from 23 per cent to 44 per cent.